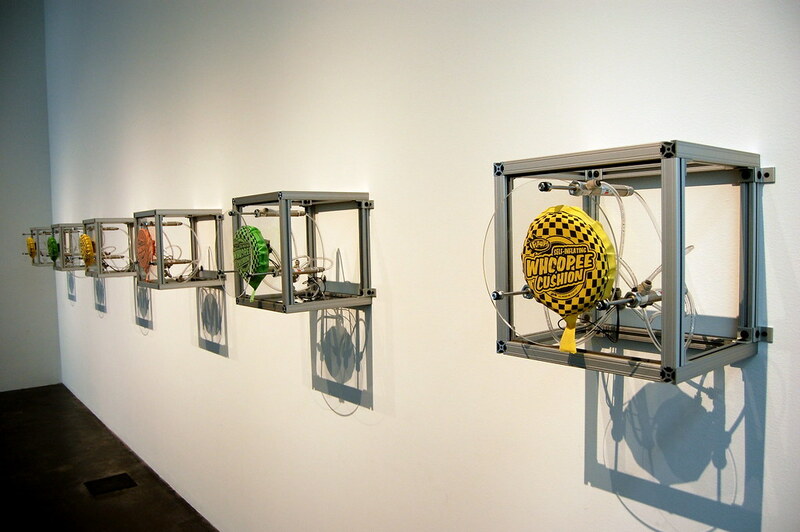 "I consider myself a sound artist, using sound to engage the public with humor and surprise. For this project, I tried to produce a work that was also visually animate. 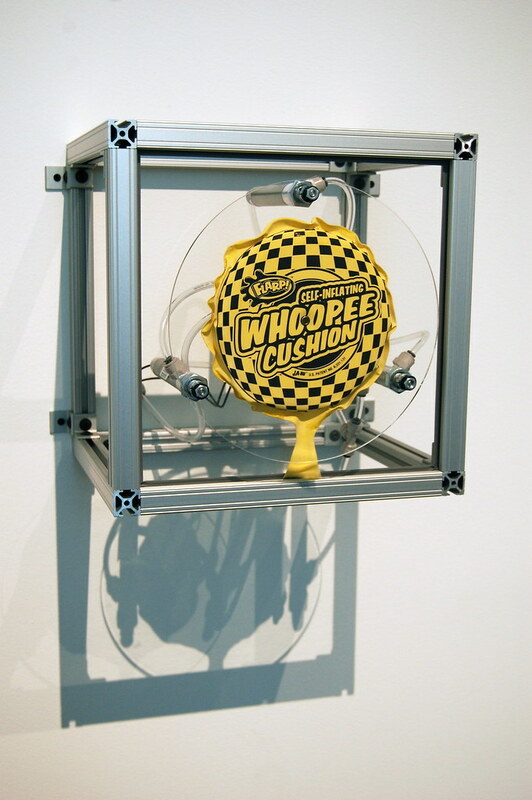 As the modules pump back and forth, they produce an exuberant mix of contrasting rhythms out of the signature flarp of the Whoopee Cushion."